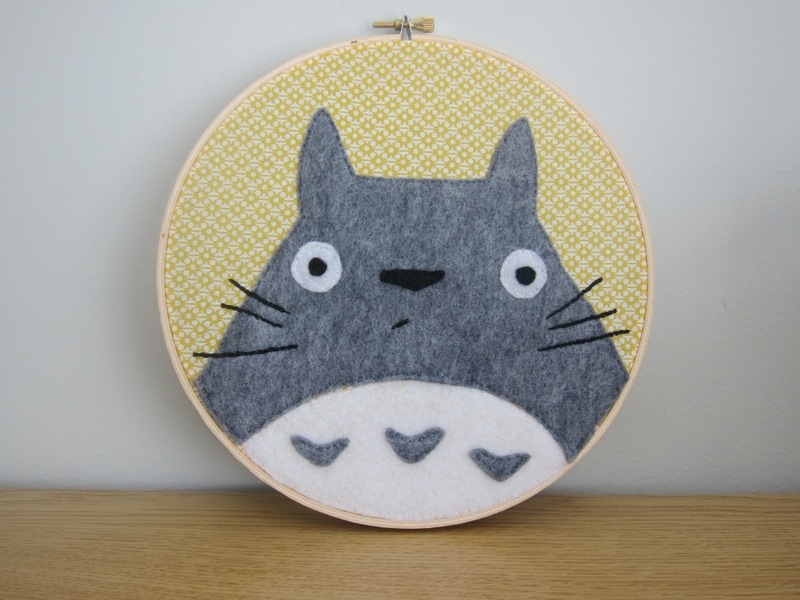 You are here: Home / Miscellany / Totoro Hoop! I had so much fun making the Pigeon hoop that I wanted to make another! It’s my first time participating in the Illustration Stitch A Long. For Pigeon the embroidery is only to attach the felt, but for this Totoro hoop I used it to add some additional detail for the mouth and whiskers. I really love doing these hoops and want to keep experimenting with using more embroidery details. The free choice illustrator stitch a long is going until the end of September and I’m hoping to create at least one other piece before then. Bridgeen Gillespie from Cherry and Cinnamon actually did a Totoro for this too! You can see her’s here. It is just gorgeous. DD would swoon! I pinned him to my cutiosity board, hope you don’t mind. Thank you so much for your kind words! 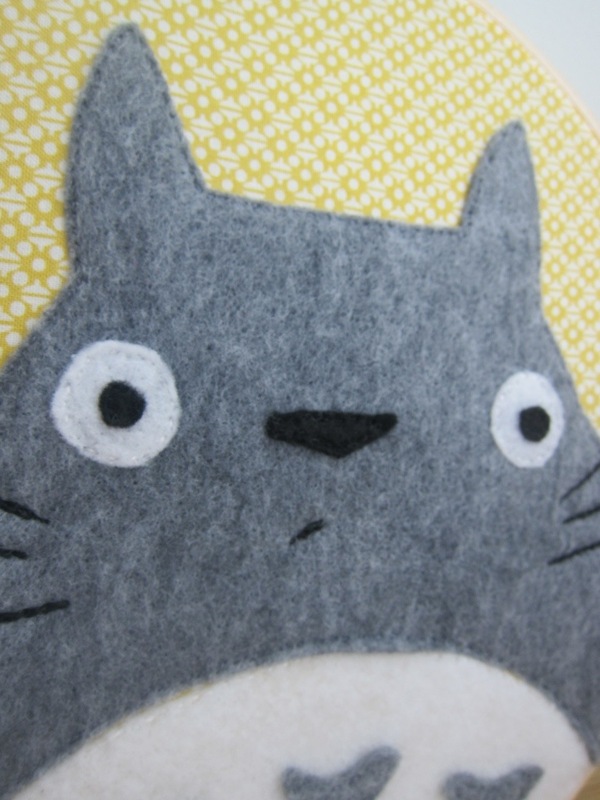 I hope it inspires you to make your own Totoro, he’s so fun to stitch! I would love to stitch this for one of my sisters (she LOVES Totoro). 🙂 Do you have a pattern for it? Thank you! I don’t. I found a picture of Totoro on Google and just used that as a template. I printed it and just cut the felt pieces out based on that.